The Zoryan Institute and Zed books of London, England are pleased to announce the publication of a groundbreaking new book by Turkish scholar Taner Akçam, entitled From Empire to Republic: Turkish Nationalism and the Armenian Genocide. This extraordinary book examines the relationship between Turkey's transition from Ottoman Empire to Turkish Republic, the Armenian Genocide, and the process of democratization in Turkey today. From Empire to Republic is a significant step towards addressing the taboo in Turkey regarding the Armenian Genocide and creating a meaningful, historical dialogue. 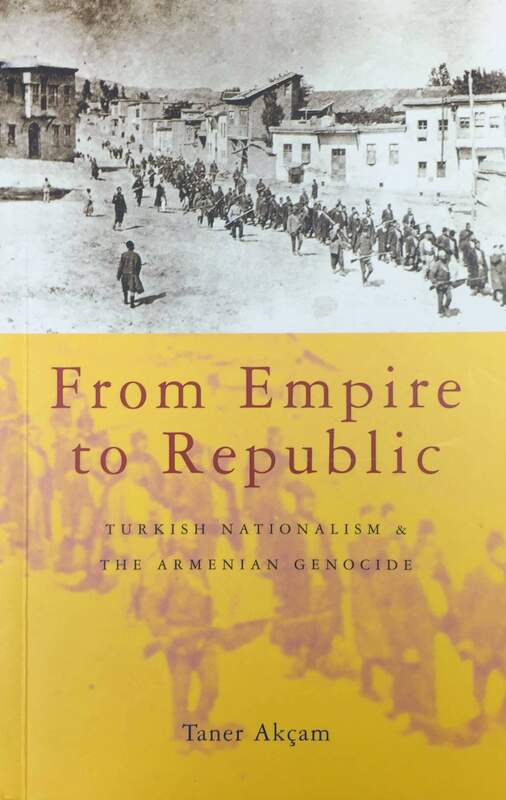 The first three chapters provide the reader with a framework for understanding Turkish nationalism, its origins, and its ongoing relationship to the Armenian Genocide. In chapters four and five, Akçam follows the changes in Ottoman Turkey's political climate that led to the decision for genocide and the implementation of Genocide itself. He then tracks the impact of this history into the Republic. In this book, Akçam convincingly makes the case that debate about the Armenian Genocide is not only a measure of Turkey's democratization, but a necessary ingredient of the process itself.